On daily basis, we spend a good amount of our time arranging and aligning opened applications on our Linux desktop. Try XMonad, a tilling windows manager that makes life easier by performing the task for us. It arranges our open windows and programs automatically. It is a lightweight windows manger, developed in Haskell programming language. The development of this project was started in 2007 and has been receiving consistent updates and bug fixes till date. It was originally a clone of DWM windows manager, but with the passage of time, it has evolved into a well reputed, stable and easy to use application. It works on almost all popular Linux distributions, Free BSD and Mac operating system. It is a minimal windows manager so it works exceptionally fast and is lightweight. It is crash-free and highly extensible with the help of available plugins. Its prominent features include per-workspace layout, layout mirroring, GNOME support and tiling reflection. Let’s see how we can install it on Ubuntu Linux 15.04. We will need to include XMonad PPA to our package manager first, launch your ubuntu system terminal and run following command to edit /etc/apt/sources.list file in Gedit text editor. 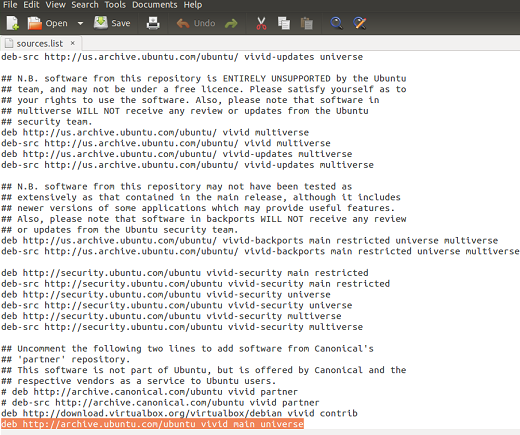 Here add following line to your source.list file, as shown in the following screenshot. Save the file; it’s time to update our package manager now, run following command to update your APT package manager. That’s it, run following command on your terminal to install XMonad. 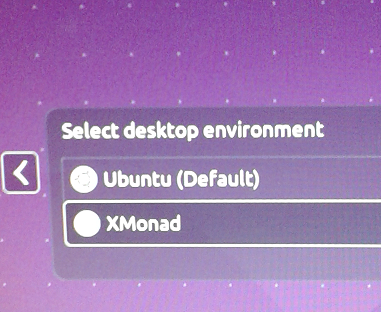 It will require around 50 MB space on your hard disk, once the installation is over, logout your Ubuntu system and from Logon screen, choose “XMonad” as shown in the following screenshot. Once launched, you might see a blank screen only, no need to panic, this is the way XMonad works. You need to launch your applications by pressing “Alt+Shift+Enter”, rest it will take care of aligning and organizing them. It is such an amazing and lightweight desktop manager with abundance of features and rich internet community. Install it today, configure it according to your needs and increase your productivity.